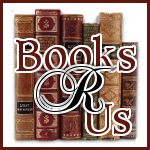 Ginger High- Books R Us: REVIEW OF DIAL COCONUT WATER REFRESHING MANGO BODY WASH! 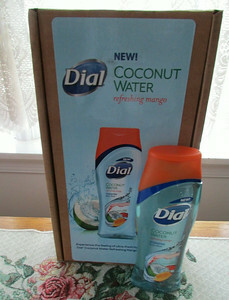 REVIEW OF DIAL COCONUT WATER REFRESHING MANGO BODY WASH! Dial® Coconut Water Refreshing Mango Body Wash is the newest member of the Dial® Coconut Water family. This moisturizing body wash is the first of its kind to contain healthy, hydrating coconut water to refresh and clean skin. The Dial® brand of skin care just got even healthier and great-smelling. I prefer body washes over soap because soap makes my skin feel dry. This hydrating body wash makes my skin feel soft and refreshed. The coconut and mango smell is fantastic and they are not overwhelming. It lathers well, and rinses easily. The body wash provides rich antioxidants and electrolytes that helps keep you skin healthy and strong. For more information on this great family body wash please visit them on Facebook. Disclaimer: The Dial brand provides me with a free sample of Dial Coconut Water refreshing Mango body wash in exchange for a product review. However, all the opinions expressed here are my own.